Rabbits introduced to Queensland, as in other parts of Australia, rapidly became a pest and damaged agricultural land and native vegetation. 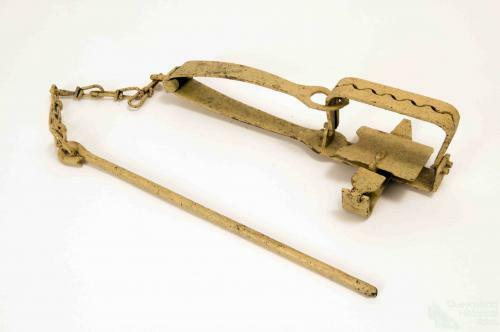 In an effort to control rabbit plagues that threatened their livelihoods, farmers used a range of methods to trap and kill rabbits. This foothold trap was one such method. Description: Steel rabbit trap with ground spike and chain.